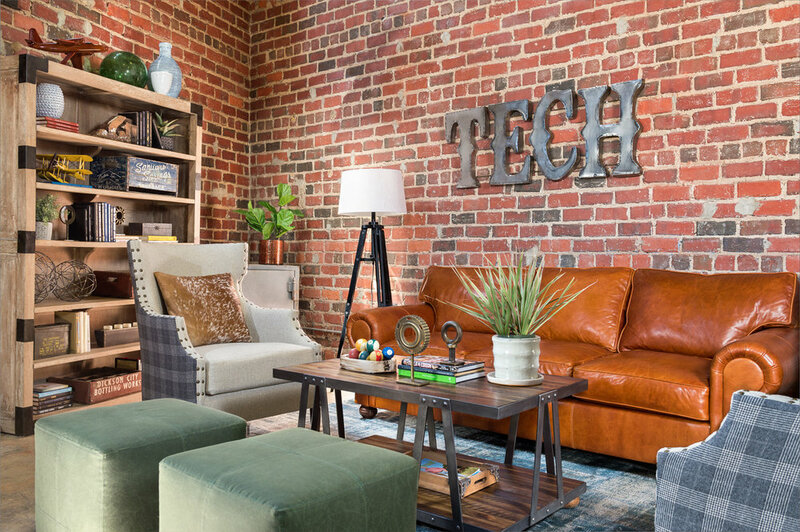 Two technology companies share office space in this refurbished industrial office off the Atlanta BeltLine: a sustainable redevelopment project that, when completed, will connect 45 intern neighborhoods via a 22-mile loop of trails and parks. The entire BeltLine is based on railroad corridors that formerly encircled the city of Atlanta. New life is brought to these renovated commercial spaces as runners, bikers, and dog walkers can be seen strolling by the office lounge windows. The area is full of the amazing life and culture that Atlanta has to offer. With a large table and one office chair and an old couch in the corner, it was a little less than inviting. This incredible space existed for employees to reheat their food and maybe host a yoga class if you move the table. Immediately, I knew that we had to add functionality and purpose to this space: a transformed lounge would bring the vitality and function of the BeltLine indoors. Let's begin with the seating and entry area. 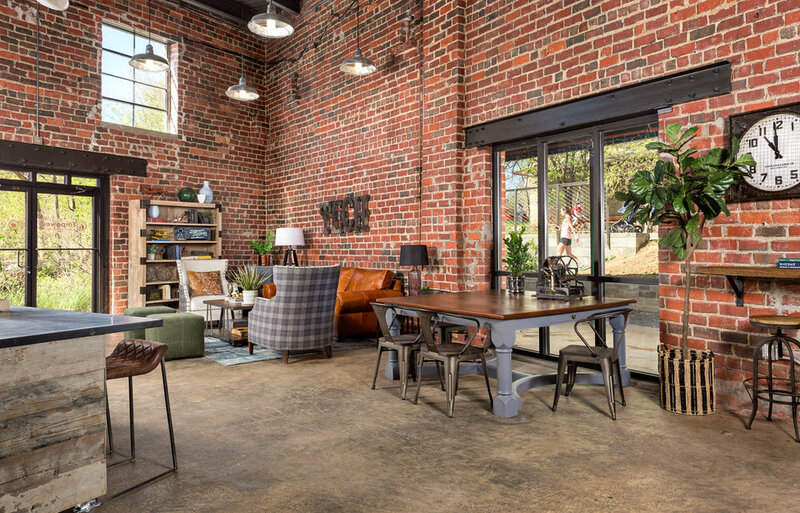 This multipurpose seating area is steeped in the look of reclaimed wood, iron, leather, and industrial-themed accessories. These layers add texture and warmth to the previously one-dimensional, industrial space. Because they host events, we made a custom moveable bar with reclaimed wood and a zinc-wrapped top that’s cool and easily wiped clean. The leather-clad bar stools not only provide additional seating, they continue the comfortable, warm texture of the seating area while also providing employees with a place to gather around the bar area. This design not only creates function in the office space, it increases productivity and heightens their professional identity for corporate events. Your company (or your personal office!) can benefit from great design. Contact me today to get started.